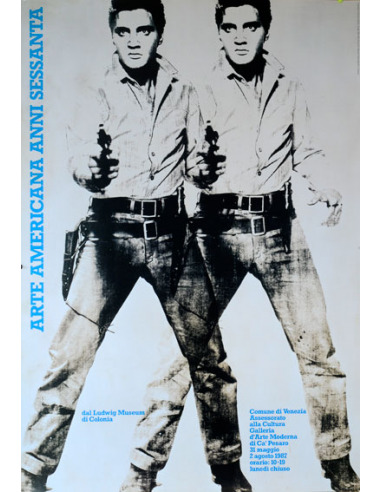 Arte Americana Anni Sessanta or Americana art from the 1960's was a show that took place in Venise in 1987 with works by Andy Warhol of which this was the poster. 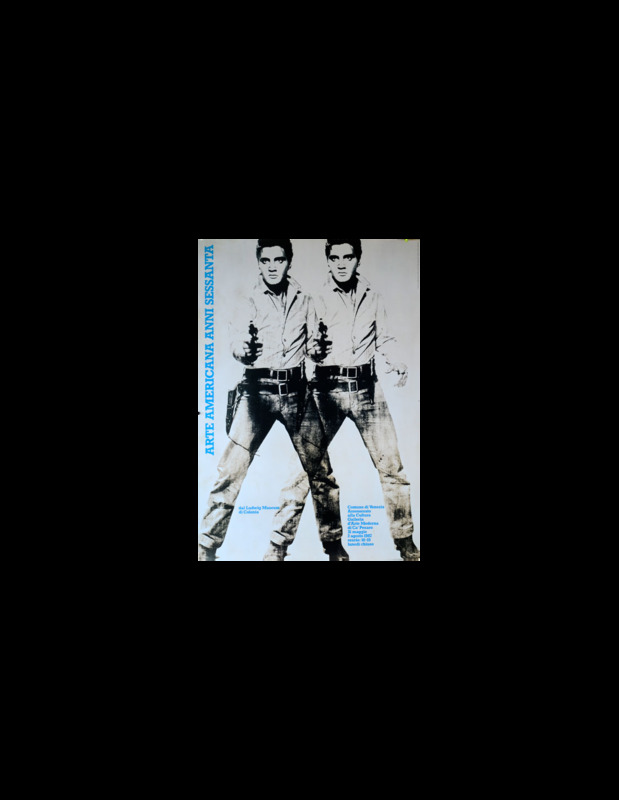 Double Elvis was famously done by Warhol in single double triple and others. Actually Warhol gave one to Bob Dylan as a gift upon his insistance to receive something for being photographed. Dylan eventually gave his Elvis to his manager Bob Grossman who sold it many years later for a small fortune.